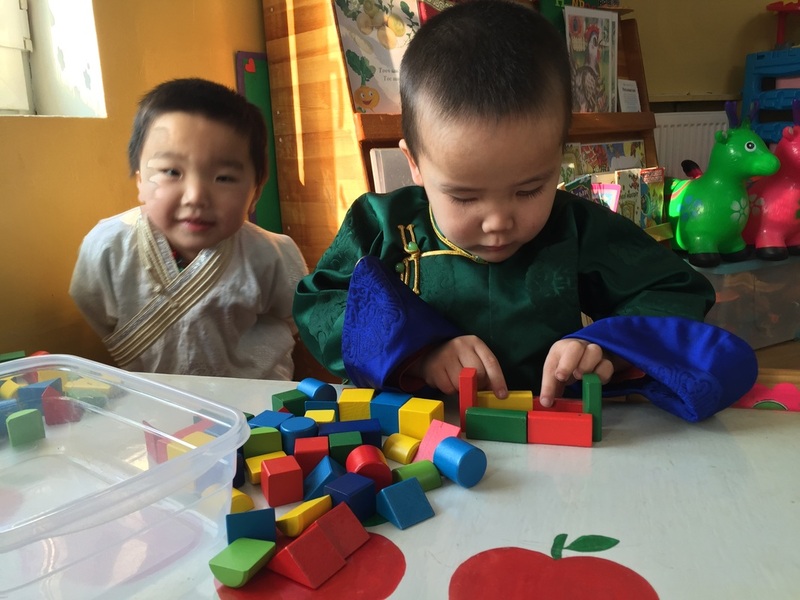 A huge thank you to the staff and students at the American School of Ulaanbaatar who have graciously offered our teachers an opportunity to come and observe modern teaching methods and methodology in action in their classroom. 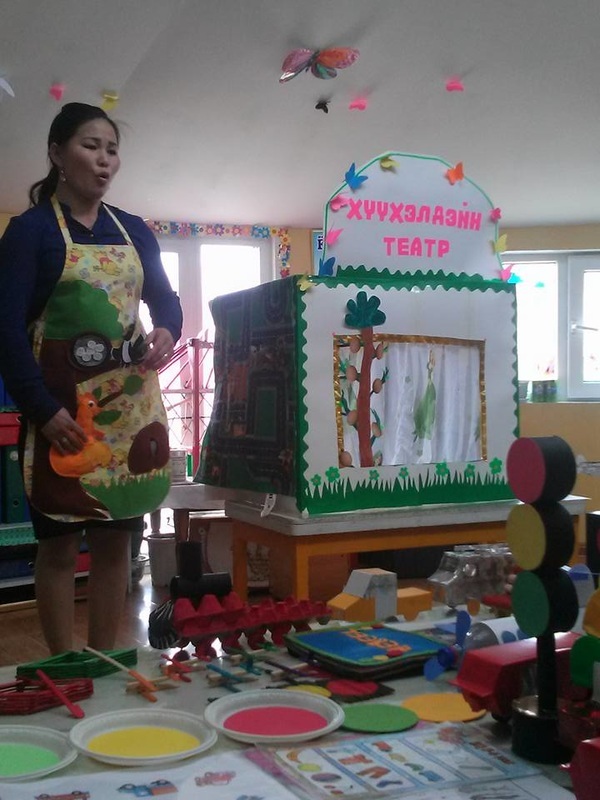 As part of the professional development of these teachers and assistant teachers, many of whom previously subsisted by scavenging at the garbage dump and almost all of whom, if they went to kindergarten themselves, went to a strict and rigid Russian style programme, this opportunity is invaluable. They are all thrilled with the chance and it is wonderful to see the colourful, gentle and creative impact this is having on their teaching style in the class room. Take a look. Cooperative, creative building going on in the 4 year old classroom! We love the intensity - oh yes, and the fine motor skills! This gorgeous diorama made of wood and illustrating all the different homes for different animals was the result of one of our teachers seeing another school getting rid of it ( read throwing it out...!) taking it home, repainting and decorating, assembling animals from the classrooms and making them "homes" and then partnering it with a number of appropriate picture books to engage the interest and intellect of our littlest ones. It's the puzzle station.. over there in the background is the matching station...off screen is the counting & matching button station. Quiet, peaceful, calm teachers and students make for some magic! And every child now has a personal portfolio of his / her work for the year! How many ways can you teach about stop lights? And modes of transportation? And how can you make it fun? How to engage the children...what choices can you give them to create a situation that will be meaningful to their personal learning...? I am so loving the creativity in these classrooms! 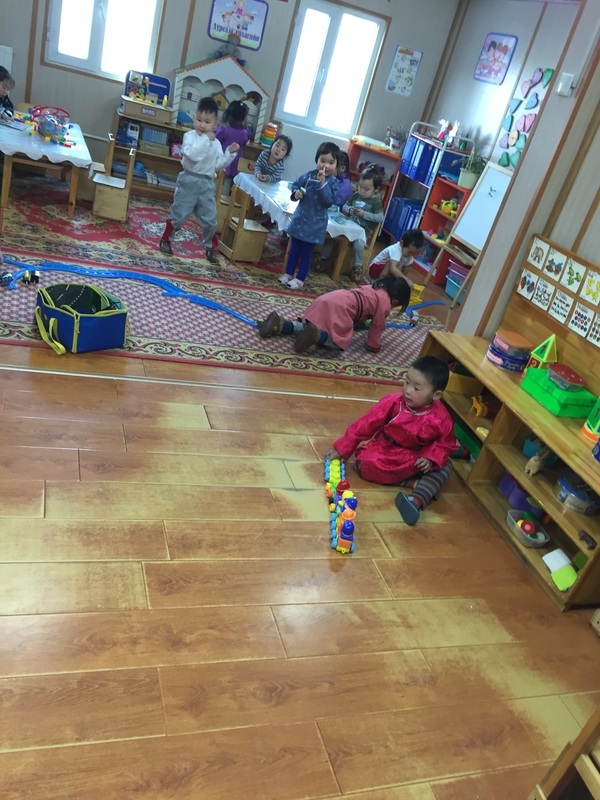 And look at the peaceful play and all the choices in the classroom below! 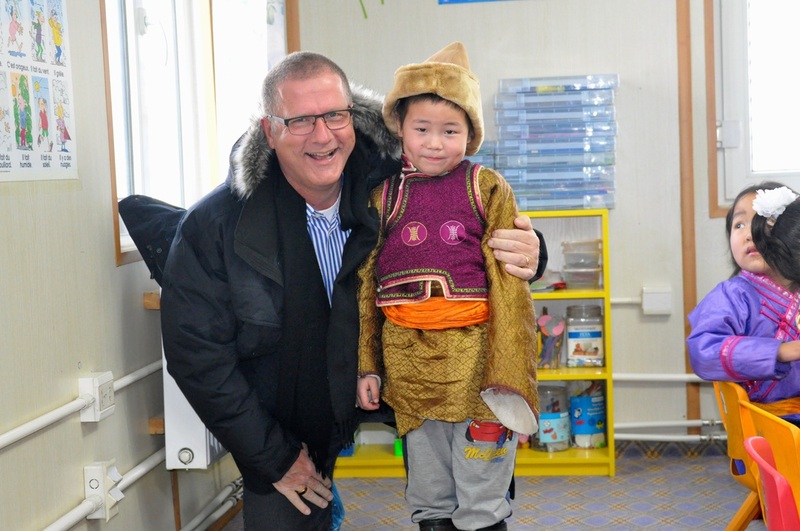 ​Wagner Asia Donates a T.V. 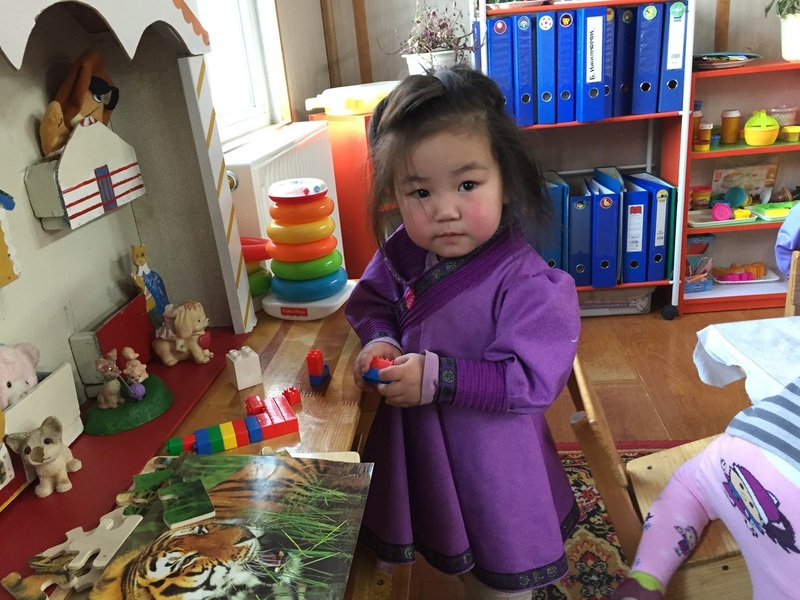 Many thanks to the wonderful folks at Wagner Asia who continue to go the extra mile to support us. Their most recent donation? 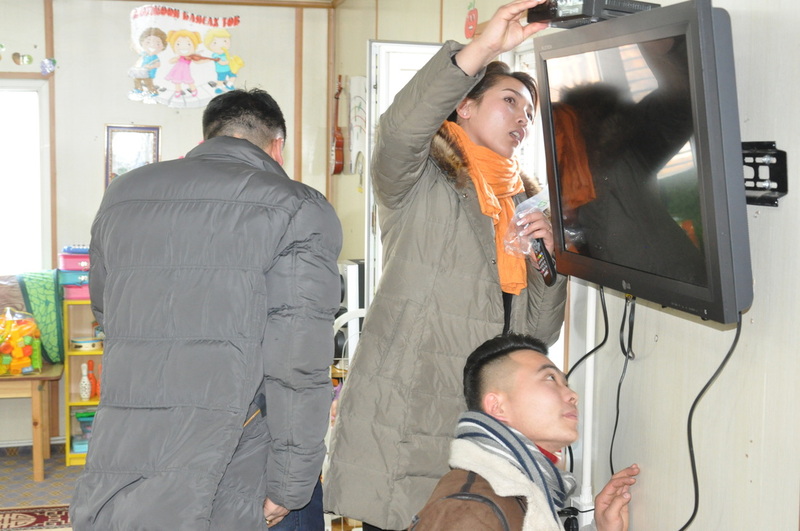 TV and cable service to the kindergarten. Strictly for educational use of course! 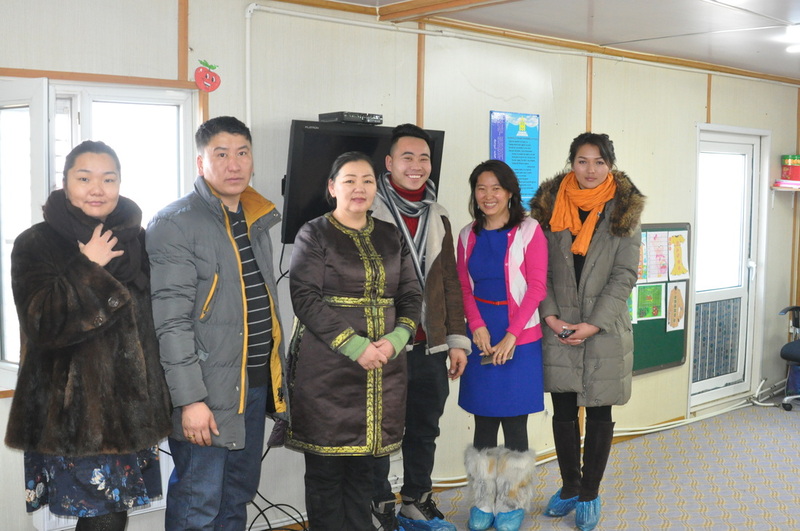 It was with great delight that we hosted the Ambassador at Embassy of Canada to Mongolia, his lovely wife Cathy, and members of the Canadian Embassy staff at the Peak in February. We were fortunate to be awarded a Canada Fund grant a few years ago that paid for a lot of our playground equipment and bought a lot of our books and that, along with a generous donation last year of a sound system for our Music and Movement room has meant that the Government of Canada has been an integral partner in allowing us to be able to provide an excellent standard of education for these children. Being a Canadian Foundation, it is a great honour to be able to host the Ambassador at our site and get the chance to show him and the staff from the Embassy along with his wife Cathy, exactly what we are all about. 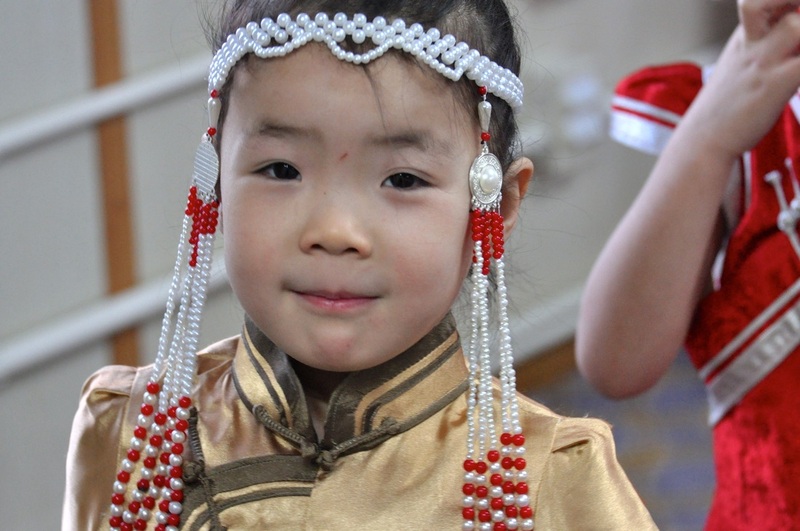 Tsagaan Sar, or the celebration of the White Moon (Lunar New Year) is one of the biggest family festivals in Mongolia and every year we spend time before Tsagaan Sar teaching the children the history, traditions, games and songs of Tsagaan Sar. It's hard to describe how wonderful it is seeing one 5 year old ask another what month they were born so they can see who is older and then the younger can greet the elder one appropriately. 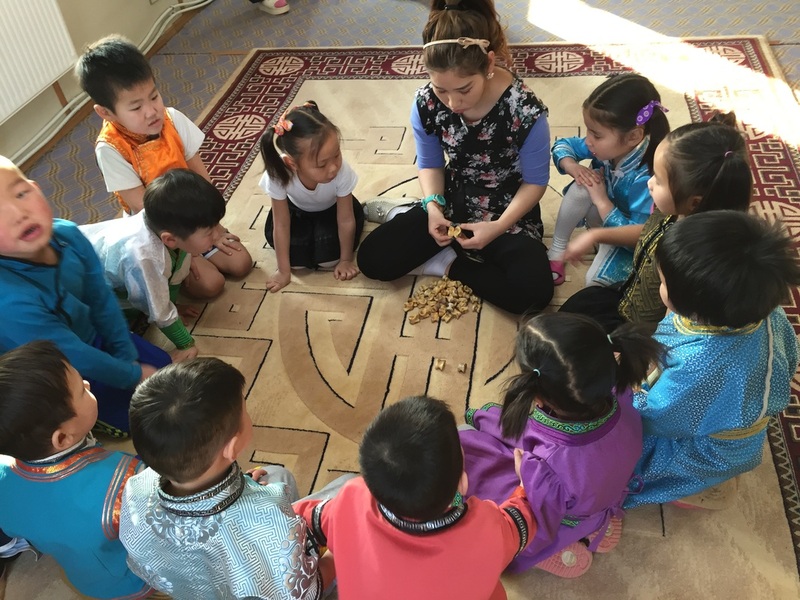 It's so endearing to hear the songs of ages in the enthusiastic voices of the children and watch them struggle to see if their ankle bone (yes, sheep's ankle bone - the traditional game piece in nomadic society) landed as a horse, camel, sheep or a goat. 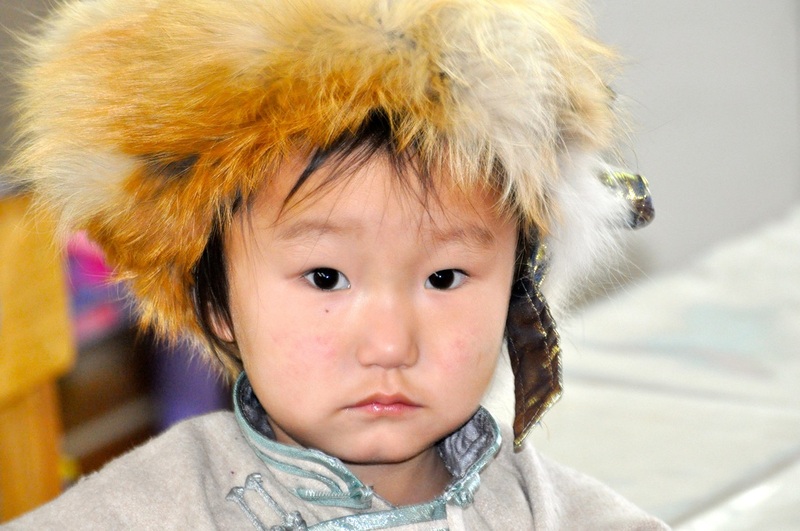 The children spend the week before Tsagaan Sar coming to class in their traditional Deels (Mongolian long coat pronounced "Dell") and those that don't have one are provided a deel to wear by the Kindergarten. 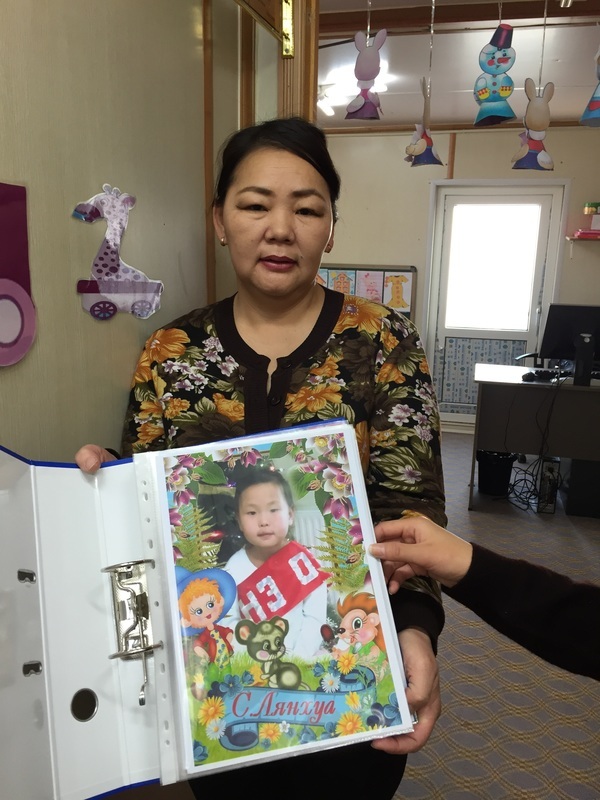 For that one week the Kindergarten becomes a glittering mosaic of smiling silk bedecked cherubs skipping along, enjoying traditional food, visits from friends and supporters, donations of food, clothes and toys. It's a magical week at the Sanctuary that can't really be captured on film...but I tried. Here's what it looked like!